I have a confession. In my last blog, I posted a picture of me as a baby with my dad. At least, I thought it was me. Soon after, I received a text from my mom, “call me.” A voicemail and another text later, my mom writes, “I don’t know if it is worth mentioning but that is not a picture of you with your dad. That is your sister.” Hmmmm… now that I think about it, I remember thinking that the couch looked REALLY dated. Oops. But, then I go from an embarrassed giggle to really laughing because maybe the joke’s not on me – my dad didn’t even mention the picture when he told me he was touched by the story about him. So my mom is concerned enough about my feelings to pray overnight and my dad doesn’t notice. This sounds suspiciously like a set-up for a sitcom gag, right? I was okay living with the baby-picture-that-isn’t-me-on-the-internet when I realize that it might really hurt my dad’s feelings if he finds out that he didn’t recognize a picture of his own daughter. I will admit that I went through my options 1) replace the picture, 2) don’t say anything or, 3) buck up and tell him. Option 1 seems like the path of least resistance…except I go through every family album I have and there’s not a single picture of just me as a child with my dad. I’d prefer option 2 except there’s a flaw in this plan too. My sister has already razzed me about impersonating her on the internet and I know it won’t be long before she relays this to my dad. Oh my, we have come full circle. My mother wasn’t sure whether to say anything to protect my feelings about my brain injury. I sweated this one out to protect my dad’s pride as a father. And my dad stays silent to protect me from feeling bad about my memory gaps. I’m not sure whether there is a lesson in any of this. Maybe it’s something as simple as knowing that I’m surrounded by people who all make choices to help and protect one another as best they can. Every now and then I slip a particularly poignant note or card I’ve been given under my mattress. The “keepers” are the ones that inspire me, remind me that I’m loved and deserve great things. Maybe I tuck them out of sight because I can’t stand clutter – no vision boards for me – but the truth is that a part of me believes that having these cards under my mattress holds the sentiment closer to my heart. What determines what I keep is the semantics, the meaning that someone had when they thought of me and put pen to paper. It’s my brother counseling me on a difficult relationship, “I say this with love and compassion,” my sister sharing, “you have always been the lift in my sails,” or a special person simply signing a card, “with all my love.” I deeply believe that what they write is true and I’m meant to hold those words carefully. But sometimes, the “keepers” I hold close to my heart don’t come in the form of cards but in conversation or text. There’s two recent ones that I’ll share. The first comes from my dad. Even though he lives over a thousand miles away, he’s been part of my recovery through our phone calls. What had been a weekly call on my drive home from church has turned into evening calls throughout the week. The Sunday routine was simple – dad would ask about the sermon and that would trigger conversation about life or something that happened earlier in the week and occasionally, he might share a story about his childhood. During football season, his part of the conversation moves to a detailed, occasionally outraged recap of the latest Cornhuskers game. But now, instead of calling him from the car, we talk in the evenings while I’m walking. And our conversations now veer to the latest from my doctors or how I’m feeling that day. My regular walks – not every night but most – are part of my rehab. They’re helping me build stamina and coordination. In the aftermath of a brain injury, a common side effect is extreme fatigue and in my case, I also experienced ataxia so I have had unbelievable vertigo with a stilted gait and balance problems to boot. One of my first goals became to walk to the park a few blocks from my house by myself. It’s not far – maybe a five or six-minute walk when I was healthy – but even so, the first few times I went I had explicit instructions to text or call when I got there, text when I was leaving and when I got home. I didn’t mind that the rules hearkened back to check-ins with my parents when I was a teen and out after dark. I needed people looking out for me – especially with my memory and judgment far more impaired than your normal sixteen year old’s. By the time I’d get to the park, I’d be exhausted and need to rest. I’d find a place to sit and call my mom or dad while I watched the sun go down. I’d munch grapes or a handful of nuts, my compulsive snacking driven by an odd, new fear that low blood sugar might further damage my brain. I’d explain that I was sorry I was chewing in their ears but I had to get some energy for that walk home. As my walks continued, I got confident that my right foot would lift the way I wanted it to and I wouldn’t trip, or at least, I wouldn’t fall on my face if I took my favorite route. I’d been avoiding this, the prettiest street with an elegant curve and giant trees lining it, because the sidewalk buckles, its cement ceding to century-old tree roots. I decided to walk it. My ankle buckled but I didn’t fall. The next time I took it, it got easier. I still had problems stepping off curbs but that seemed to be the vertigo more than my coordination. A sign of real progress was when I started calling my mom or my dad on my way to the park. They patiently listened to my incoherent patter as I literally re-learned to walk and talk at the same time. I never forget that I have amazing parents. All I could say was, “Am I really, Dad?” I was thrilled. My dad tells it like it is. I’m too close to always see the changes in me, or more accurately, I’m too busy judging what I “should be like” than noticing the incremental improvements. But every few weeks, my dad has told me that I’m getting stronger. His only thing to go on is my voice and my words over the phone but that is enough for him to know that his daughter is coming back. He tells me my lungs are getting stronger, that my vocabulary is returning and that I’m talking more quickly and less deliberately, that I sound more like me. I need his words, they strengthen me. Something about those words stick with me. I know he’s guided untold numbers of people through deaths and all classes of sorrows and that through those, he’s probably seen the entire spectrum of the human spirit – our fragility, our sadness, our courage. So I’m pretty sure he’s got a sense of what nudges different people. And boy, I needed those words, “You are a warrior.” It reminds me that even if my body is temporarily diminished, I’m still strong in spirit. I finally had the review of my “neuropsychological evaluation,” the test that identifies what parts of my brain were most affected from the encephalitis. When I left the neuropsychologist’s office, I cried. And cried some more. It finally hit home that I have a brain injury. It happened. Why I have been able to write about my experiences but not truly internalize that this brain injury is real, I am not sure. It stuns me. There’s broken bits inside my brain. I remind myself that this is a point-in-time result, not an indication of my future. I am still healing. People have asked me how I keep going. Sometimes they even say, “I couldn’t do it if I were in your shoes.” I don’t find that motivating. I only know that I have to take a step forward and another step. There are hard days, difficult moments and lonely experiences. But without fail, I have always found something sunshiny, a spot of joy or laughter to fuel me for another day. Sometimes I find the sunshine myself, sometimes it shows up in unexpected ways like silly GIFs that my app-obsessed aunt texts me. When I was in fifth grade, I competed in my city’s spelling bee. Two memories stand out from that day. First, my throat culture came back positive for strep just hours before the event. There was a conference among the adults to decide whether to send me home or let me participate. There I stood, an eager, probably too earnest, eleven-year old girl upset that getting sick could disrupt my plans. I’ve always suspected that my principal had a soft spot for me because the discussion was suddenly over and he told me to do my best, avoid other kids and then go home. I pushed through the fever and sore throat doing well enough to represent students in the 5th-8th grades to go on to the county spelling bee. The second memory is looking over my scored written tests after the finals and seeing that I’d been docked a point for spelling a word that I thought was correct. I was so sure of being right that when I got home I ran to the dictionary. It’s practically too perfect to think about this now but the word was judgment. I spelled it with an “e” in the middle. While not common, judgement is an acceptable spelling. No matter that this mistake was meaningless to the outcome of the spelling bee – the judge’s mistake stung. Now decades later, the grown woman is more like the little girl than I ever realized. I’ve tried to convince myself that if I think I’m stronger, I will be. That if I push myself, I should be able to think clearly without getting a headache. Yet I keep knocking up against invisible boundaries of my mind and body that weren’t there before. Mind over matter is powerful but not powerful enough medicine for me now. And the other similarity to my childhood self? I’m still deeply sensitive to fairness. And this is what makes living with a brain injury so tricky at times. A few weeks ago, my memory failed me in a potentially costly way. I’d been talking with a close friend when he said something about a dinner we had. I didn’t remember it. As painful as it is to admit, I told myself that he made the dinner up. No matter that I’ve got slivers of memories to go on but I was absolutely convinced that it didn’t happen. I dug my heels in and asserted that there had been many meals but no dinner with my mom. Displaying remarkable maturity and patience after my accusation, he didn’t debate me, just kept the conversation going. Minutes later, it came to me. We did have that dinner. I asked questions to confirm that the flash of memory was true. Yep, I was wrong and so I owned up to it and apologized. Then it happened again. This time it was in a doctor’s office. I’m paying for treatments not covered by insurance so I’m pretty sensitive to the cost. I’d taken notes during our initial phone consultation. After my first appointment, a medical assistant gave me a price list. Then my second appointment comes and I’m asked for payment. But it’s different from what I remember – I recall that patients paying out-of-pocket were given a discount. That same bloody certainty that I’m right kicks in. I softly but firmly say, “I’m sure I was told there was a 10% discount for out-of-pocket patients.” Back and forth until I ask to talk to the assistant who’d originally seen me with the doctor. She confirms the pricing. Still unable to believe that I’m wrong, I close with, “I’ll pay now but I’m going to check my paperwork when I get home.” I get home and discover that my notes and the price sheet match exactly what they asked me to pay. Oops. Here’s where it gets tricky. What’s the playbook when my certainty isn’t to be trusted, when memory sometimes fails? He’s spot on. How can I hold onto me if I’m second guessing myself all the time? My friends and family will forgive me if my memory goes cattywampus once in a while. And for everyone else, I’ll still push for what I believe is right in that moment (just as I always have) and if I’m wrong, I’ll apologize like I’ve always done. I think this is the best, most gracious thing that any of us can do. I’m talking with my neuropsychologist about next steps after what has been extensive (and exhausting) “neuropsych” testing to pinpoint the damaged areas of my brain. I won’t get results for another week but he says we should make a homework plan now to start working on my “aphasia.” Here’s how that conversation went down. What is the take-away here? I am in denial. For those of you wondering what aphasia is, find more here. It’s most commonly associated with people who’ve had a stroke and have to learn to talk again. It’s very rarely associated with encephalitis so I’m keeping my status as a medical anomaly. I’ve improved to the point where I occasionally stutter or switch sounds between adjacent words “devoice doin” instead of “join your device” (trying to explain tethering a tablet and cell phone). A less obvious side effect is that I can’t keep up when people talk too fast or if there’s a competing noise or conversation. I could play along but I am getting more comfortable asking people to slow down or by controlling my surroundings so it’s not the hipster talking too loud on a cell phone that interferes with my hearing – just my broken neural pathways. While all of this is hard to acknowledge – I am in denial after all – I realize there’s a different hurt, one I didn’t know I was holding. And it’s that my mom has walked this path. Shortly after I graduated from college, she had a stroke. Still unbelievable to me, but there’s a giant piece of dead tissue in her brain where it was oxygen starved. My mom had to re-learn to control her tongue to pronounce letters and words. She had to re-learn how to use her hands. She worked so hard. I tear up just thinking of the effort. As I get better in some areas and struggle in others, I’ve thought of my mom’s experience and wonder what she felt during her recovery. Did I make her feel as loved and cared for as I have felt? I don’t really need to wonder. I know the answer. I was busy fixing not feeling. I think of the kind and understanding neighbors, friends and loved ones who have surrounded me. And while they can’t be in my shoes now, they are walking this walk with me – sometimes holding my hand, sometimes leading the way and sometimes cheering me on. No one expects me to “hurry up and get better” – they just keep being with me. I can’t undo that I didn’t do the same for my mom. I was busy trying to help her get better, to fix her. Instead of offering my hand to steady her, I was busy looking for a trail map and buying hiking boots for the rocky path ahead. When that time comes to pay it forward, I pray that I may be granted the graciousness and gentleness I’ve been shown and be ready to walk with others when they need me. 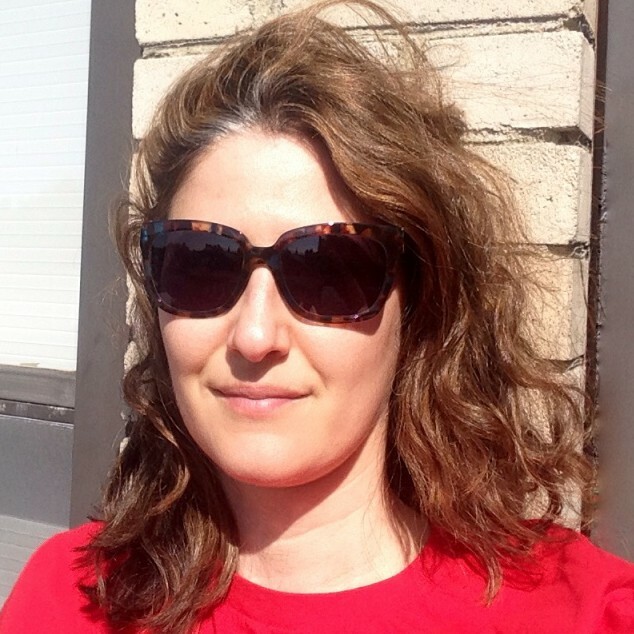 The t-shirt is bright red, the midsection a boxy shape too big for its intended contents. It is a gift from my sister. Holding up her matching one, mom shares that my sister bought these for the family. Of course she did. My sister’s gifts often veer to the absurd. Whether I think they’re funny or not seems beside the point. My eyes still don’t focus all that well but I make out the words “THE FLOOR IS LAVA! ALL-TIME CHAMPION” through a blur of reds and oranges. No matter that her grown-up child has a brain injury and needs full-time care, my mom is giggling. That’s my mom. She copes with life’s ups and downs in three ways – she cries, she sees humor in oddball places, or she gets working. While memories from that time are never detailed or complete, I am certain of two things, one, that I thought the t-shirt was garish (sorry, sis!) and two, that there was a joke that I didn’t get. I can only assume that I followed my mom’s cues and giggled along. I’m sitting on a stone railing maybe a foot and a half wide, its few feet of height an insignificant barrier for the ground three stories below. I lean back against the warm brick and stare at the long stretch of daylight before me – I’m here because I hope that sunshine will somehow stem the sadness welling within. Noticing the paleness of my legs, I touch the jiggly skin of what had been my calf. I want to escape this body that I barely recognize, a body that fought me and only through medical interventions called a truce that I hope is lasting. The tears come as I think about how hard and sad and frustrating it is to be half-healed, half-not. As I cry, I realize I’m wearing the red t-shirt. Twisting and pulling the front out to the side, I see a sloth with little finger-hands grasped around a light fixture dangling above a living room repose complete with couch, chairs, and lamps. And to keep the surreal motif going, lava floods across the floor. And I start to make the tenuous connection my sister must have made between our childhood and this shirt. As kids, we played a game called “alligator” whenever we stayed in a hotel – two siblings jump from bed to bed while the “alligator” lies flat on the floor, eyes closed, legs and arms flailing trying to tag the others. Get touched mid-air and your turn to be the alligator. Like all of our games, there is both danger and fun. The thrill is timing your jump to miss the alligator but a split second off and you might find your face hitting the corner of the night side table. It’s a game of survival, of staying off the floor. 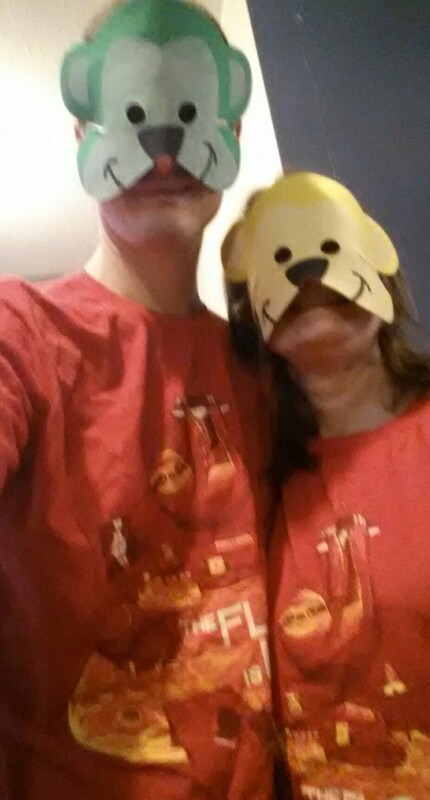 There’s my mom and brother in their matching “alligator” shirts and inexplicably wearing colored animal masks. Even though I’m still crying, I’m laughing too. As it turns out, the red t-shirt was just the gift I needed. It cloaks me in the grace of a loving family and reminds me that I can choose to stay off the floor, to not be a victim of the “alligator” today. Another reminder of God’s grace in my life just when I needed it most. Hmmmm…Bob’s glory? I’m puzzled and pause. Who is Bob? Is he the church gardener? If he’s so talented, why am I not impressed by the landscaping? Are they celebrating Bob’s retirement or something? Then something clicks and I realize it’s likely I “glitched.” Again. Ohhh duh, it’s God not Bob. I call myself a dolt and keep walking but then it hits me. This happens to me over and over. Has this happened in front of other people? People must have caught me in these moments. But then I remember two things that a dear man in my life repeatedly tells me, 1) Be forgiving of yourself in these moments, and 2) Recognizing when something is “off” is a positive sign. I’ll take that sign any day.